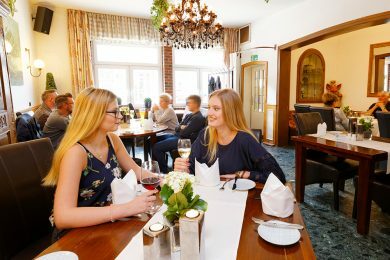 While away the evening hours in the Burgschänke’s traditional restaurant – or our Mediterranean-style beer garden in the summer months – where you can enjoy classic German and seasonal cuisine. It’s just the right atmosphere for sitting down to a tasteful menu created by our chef, who knows how to combine familiar favorites with specialties based on the current time of year. The mix of rustic and modern elements that decorate the restaurant’s interior will provide for a sophisticated atmosphere as you savor a delicious meal. 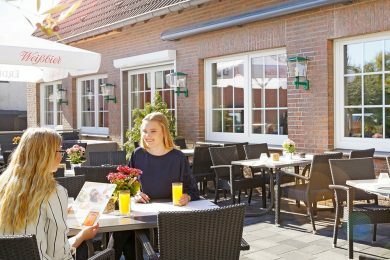 When it’s warm outside, you’re also more than welcome to sample the Burgschänke’s wide range of culinary offerings among olive trees and terracotta pots in our tranquil beer garden. Along with typical beer garden fare like Swiss-style sausage salad, we serve spare ribs and other tasty items. It really is a quiet refuge that invites you to relax after a stressful workday. 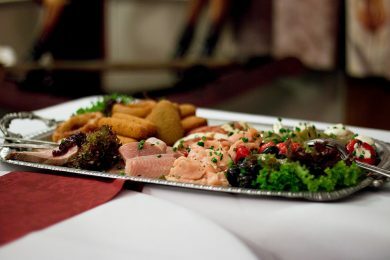 Our menu ranges from home-style cooking – green cabbage with Mettwurst and typical German stews, for example – to more sophisticated dishes that will have your mouth watering. Think small plates that follow the latest trends, along with freshly caught fish and select steaks. 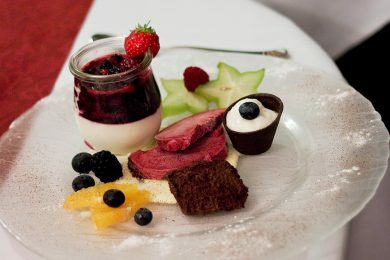 Meanwhile, the finishing touches are provided by a selection of seasonal specialties for the gourmands out there. Our guests can look forward to creative fish dishes during Carnival, while the asparagus season comes with its own delights – and just wait until the chanterelles start popping up in the forest! 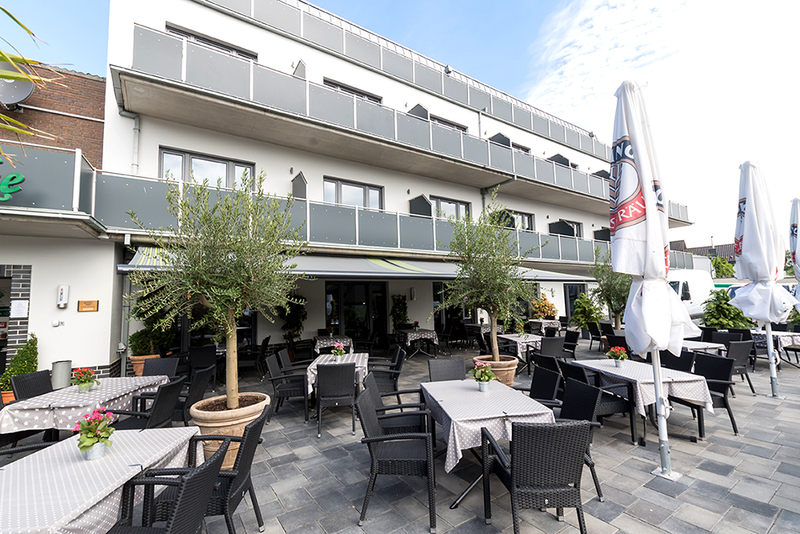 Whether you’re planning something small or larger get-together, the Burgschänke is a great place to hold weddings, family gatherings, company events, and more. You can rent out the entire premises (for around 300 guests), our main hall (which seats 80-180 people), or a smaller section for more intimate occasions. We also offer all the corresponding services to make sure your event will be one you remember fondly for years to come. 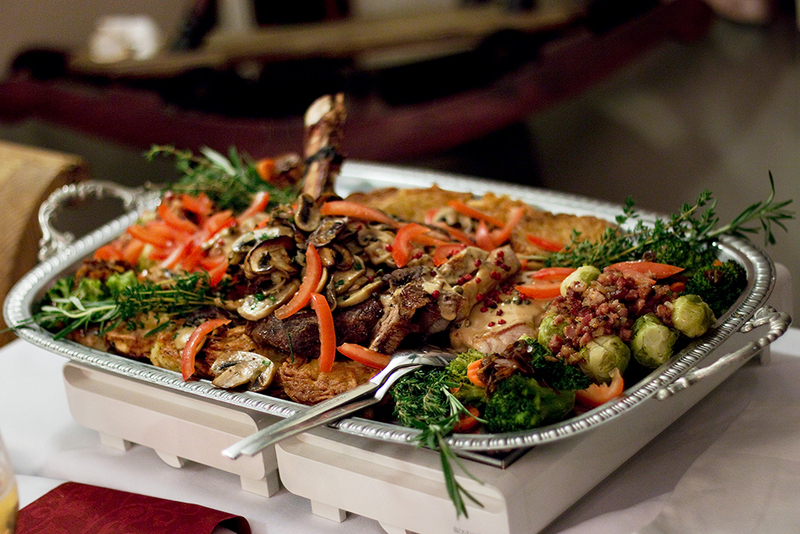 If you’re holding an event at another location, we’ll be happy to handle the catering. Interested? Just give us a call or drop us an e-mail. We’ll get back to you with the details! The Burgschänke’s in-house bowling alley is a fun way to spend a few hours with friends or coworkers. There’s no danger of anyone going hungry or thirsty, either. In addition, we organize covered-wagon tours by request (and even offer them ourselves from time to time). Get in touch with us and we’ll make sure all your needs are met.